You can now pre-order these two magnificent books. The books will be printed in summer (although sometimes there may be a slight delay due to production) and then shipped to everyone who reserved a copy (to be delivered at the end of September or the first half of October). You can reserve the books by placing an order on this website or, if you prefer, by sending us your information (name, full address and phone number) to shinden@shinden-ediciones.com, and we will reserve your books for you (we will send you an easy link for the payment). Your name will appear on the acknowledgments page. A page which will read: “This book has been published thanks to the support of:” followed by the list of everyone who pre-ordered. We are glad to offer this recognition to all of you who support us. Plus, we are happy to be able to show sensei all those who have enthusiastically supported this project. 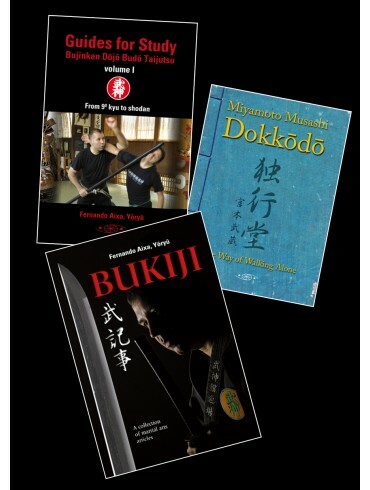 Also if you include in your order the three books set (Bukiji, Guides for Study Bujinkan Dojo and Dokkodo) the shipping cost will be free (over the world). 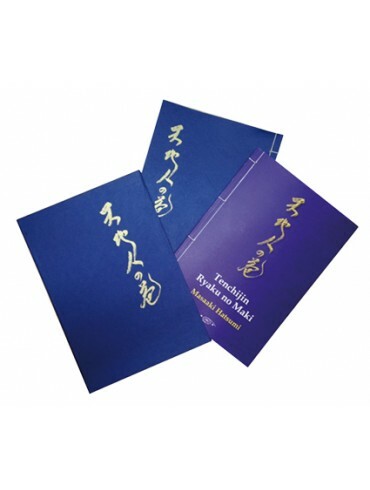 Everyone who reserves both books will be given a gift of calligraphy, serigraph printed on wood, which Hatsumi Sensei did specially for the edition of this book. Shipping is not included in the price of the books. You may consult us if you wish (shinden@shinden-ediciones.com). But if you also include in your order the three books set (Bukiji, Guides for Study Bujinkan Dojo and Dokkodo) the shipping cost will be free (over the world). Dear friends and practitioners, we are once again excited to share with you this new publication project, in English, of two unique books by Hatsumi Sensei which make up part of the origins and history of Bujinkan Dojo: “Sengoku Ninpo Zukan” and “Togakure ryu Ninpo Taijutsu”. As many of you know, these two books have been out of print for decades, and if you do manage to find them in antique bookstores, they reach prices that range from €500 to €1000 per copy. This past January, during my latest trip to Japan, I had the great honor of getting express permission and authorization from Hatsumi Sensei to publish them in English. As is characteristic of our work, the English edition will maintain, within the editorial limitations and requirements of the author, the design and format of the original edition. They will be bound as hardcover books with their respective protective cases. As the editor of the project, I will ensure maximum quality, just as Hatsumi Sensei’s books deserve, in the publishing process, from the revision and translation of the texts to the handling of images and supervision of printing and materials used in the process. We appreciate your support, as this allows us to continue our publishing work and share unique texts by Hatsumi Sensei with all of you. Your help and pre-order will be decisive, therefore, in facilitating this project and making it accessible to the entire English-speaking Bujinkan community. Part I: Shinobi no buki (shinobi weapons). This section provides an overview of all of the ninja’s weapons, from the ninjato to the shuriken and all types of staffs (shikomizue) and items for the water. Part II: Taijutsu. 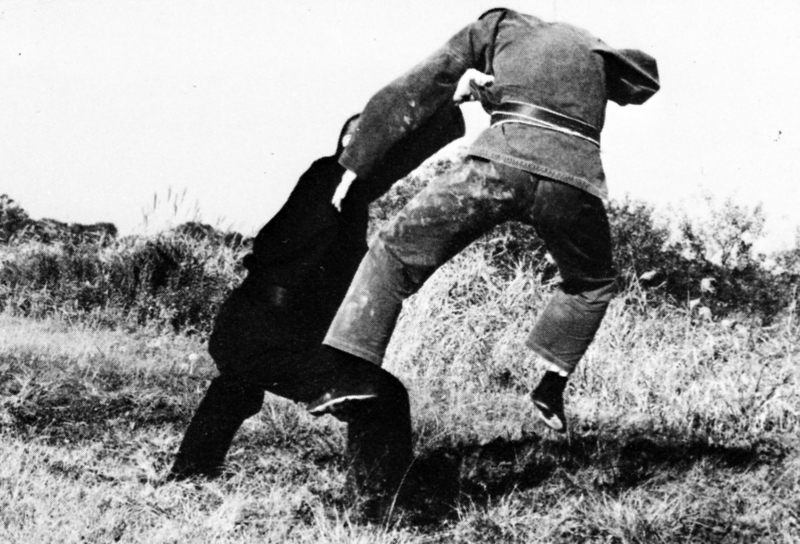 This section shows the technical foundations for taijutsu within ninjutsu, such as: junan taiso (warm-up), kamae (stances), ken (punches), keri (kicks), shime (chokes), taihenjutsu (body movement techniques), etc. Part III: Ningi (ninja techniques). This section introduces the different ninja disciplines (ninja juhakkei). 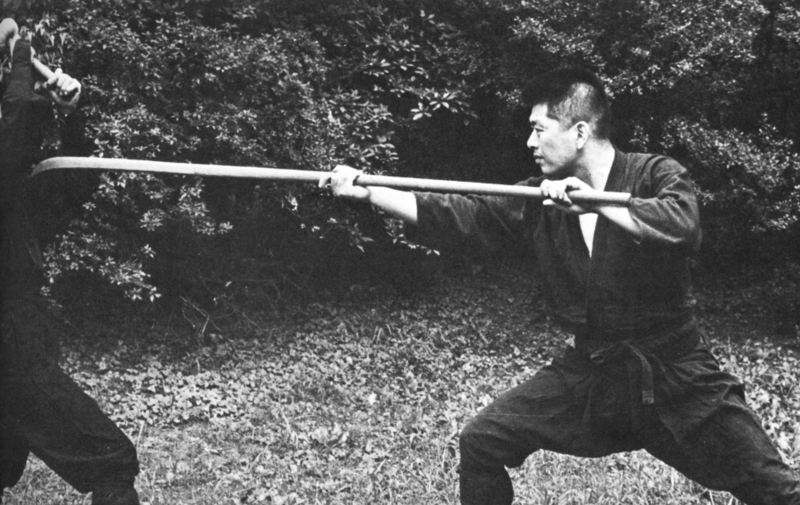 Among these techniques we are shown, for example, bojutsu, yari, sui jutsu, shuriken jutsu, jutte, yumi, etc. 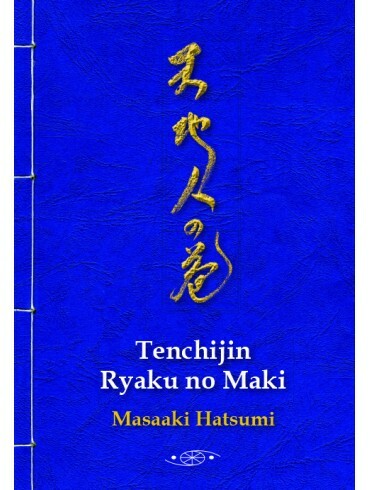 This text is a technical book on the entire foundation of ninpo taijutsu (unarmed ninja combat techniques) and is an excellent companion to the original Tenchijin Ryaku No Maki which we have already published in English. This book will be structured in the same was as Tenchijin Ryaku No Maki (in three parts: Ten, Chi and Jin ryaku no maki), but its content is not exactly the same. In the book Togakure ryu Ninpo Taijutsu, there are some sections that do not appear in the original Tenchijin and vice versa. Furthermore, when you consider that the Ninpo Taijutsu is fully illustrated, with the two books you will have a complete foundation in the taijutsu of ninpo. 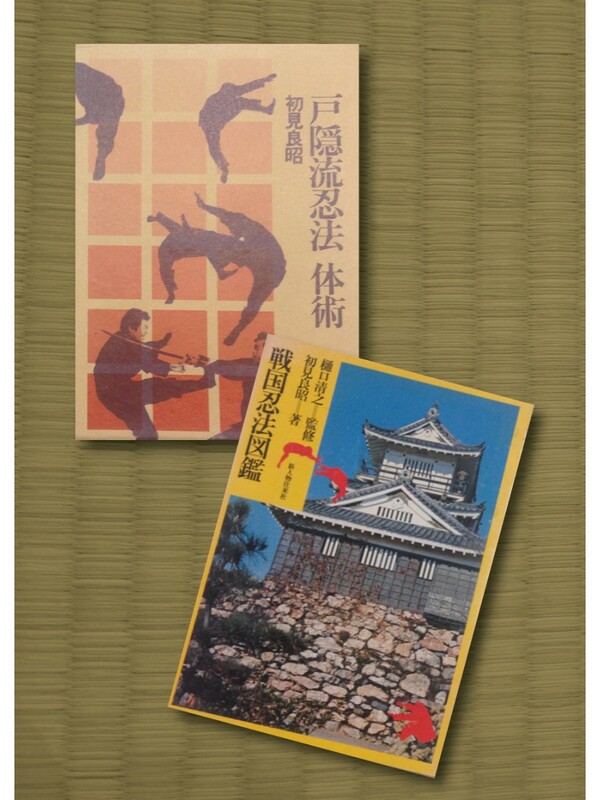 Two classic ninjutsu books from Bujinkan that are a must-have for your library.